BOISE – L.J. 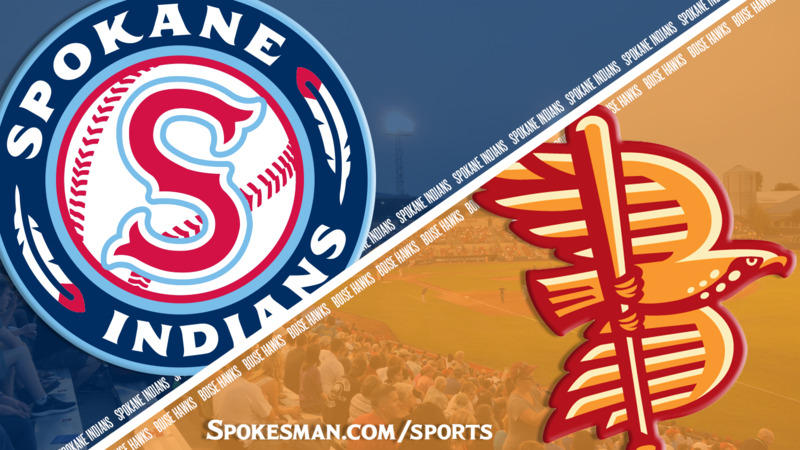 Hatch homered and scored twice and the Boise Hawks overcame five errors to beat the Spokane Indians 5-4 in the first of a five-game Northwest League series at Memorial Stadium on Thursday. The Indians (7-7) remain one game behind Vancouver in the North Division. Indians starter Seth Nordlin struck out a career-high 10 with no walks over 5 2/3 innings, but allowed four earned runs on six hits, including a homer. Brett Eibner, a former Major League outfielder attempting to come back as a pitcher, made his second appearance with the Indians and struck out the side in the seventh, but fell victim to a couple of tough defensive plays in the eighth. Boise’s Terrin Vavra led off the eighth with a walk and went to third on a botched sacrifice attempt. Diosbel Arias then fumbled a grounder to second and Vavra scooted home with the go-ahead run. The Indians scored twice in the first. J.P. Martinez led off with a single, when to third on an wild pickoff throw and scored on a single by Hasaun Viera. Curtis Terry singled to put runners at the corners and Viera came in on a double-play grounder by Arias. Spokane added a run in the second. Tyler Depreta-Johnson reached on a throwing error by the pitcher and Martinez followed with a bunt single. Boise first baseman Danny Edgeworth tried to nab Depreta-Johnson at third but he threw it away, allowing Depreta-Johnson to score. Edgeworth led off the bottom half with a single and after Nordlin picked up a strikeout, three straight batters singled for one run, and a sacrifice fly brought in the second. Nordlin settled down to strike out the side in order in the fourth. Boise got to Nordlin again in the sixth. Despite two more strikeouts, he allowed a double to Edgeworth and a homer to L.J. Hatch, his first of the season. Nordlin left trailing 4-3. The Indians tied it in the seventh. With two down, Terry doubled to left and came around on a triple by Arias, his first of the year. Published: Aug. 9, 2018, 9:33 p.m. Updated: Aug. 9, 2018, 9:35 p.m.